Rumors have been circulating since March that Jamiroquai will be playing Hulaween this year on their first US Tour in over 10 years. The rumors are true. Festival host, The String Cheese Incident, will return to Spirit of Suwannee music park to headline all three nights of the festival. ODESZA, Jamiroquai and Janelle Monáe will be joining them as headliners and bringing their own unique flavor to the fest. However, Suwannee Hulaween doesn’t just rest on the laurels of it’s headliners. 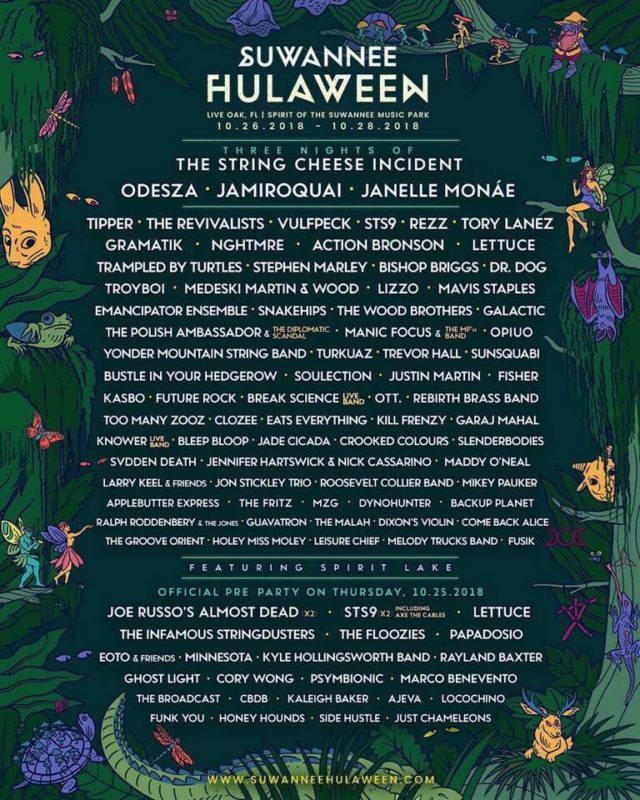 With artists such as Tipper, The Revivalists, STS9, Gramatik, Lettuce, Emancipator, Galactic, The Polish Ambassador, and Yonder Mountain String Band, there’s a little somethin’ for everyone at Hulaween. The pre-party isn’t anything to sneeze at either. Hula veterans Joe Russo’s Almost Dead, STS9, and Lettuce all return to the swamp for a night that could honestly go toe-to-toe with most full festival lineups. Pair these amazing artists with magic of Spirit of Suwannee Music Park and the crafty and creative fun of Halloween, and you surely have a recipe for a good time. This year, like every year, I’m going South for Hulaween. See ya’ll beneath the live oak trees at Spirit of Suwanee! Browse over ticket and additional information via the festival’s main website. Samantha (Sam) Harvey lives in Larkspur, Colorado with her husband and her dog. 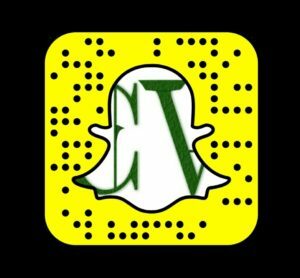 She has been covering music festivals for Crescent Vale in Colorado and the American West since 2016. Her day job is managing a horse farm, but in her free time she enjoys hiking, camping, photography, and attending music festivals.